Constipation is when the bowel motions are firm or hard, and difficult to pass. or often by some malfunction of the gastrointestinal tract (your gut). About 10% of babies and children are troubled with constipation. Often, this is a minor and short-lived. However, some children have great difficulty. If the baby is on a cow’s milk-based formula, then it is simple to change this to one of the special milk formulas (we can help you with this). If solids have been introduced, then ensure that everything is dairy-free. If breast-fed, the solution is for mother to go on a cow’s milk free. As constipation becomes more entrenched, the colon becomes loaded with feces. Eventually, the child can no longer hold back the pressure of all of this poop. Subsequently, feces will ooze out – this is called encopresis, or soiling. It is a more advanced symptom of chronic constipation. In older children, the most common cause for constipation is gluten sensitivity. Without treating the underlying food intolerance, the only treatment is more laxatives. 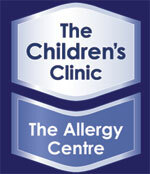 We can help you diagnose and treat troublesome constiation at the Childrens Clinic, Christchurch.